Today Google* released the fourth developer preview (DP4) of Android Things*, an operating system for developing connected embedded devices. We are excited that DP4 brings new supported features that include OpenGL* and WebView* support for the Intel® Joule compute module. OpenGL allows developers to build and run applications that require high-end, animated graphics to create immersive and interactive visualization applications and to showcase real-time performance data in rich new ways. The workflow to develop an application using Cordova is simple and straightforward. Cordova's standard plugins that will be available on the Intel Joule module include: battery status, console, device, dialogs, in app browser, splash screens, file, globalization, whitelist, network-information, file-transfer, geolocation, vibration, device-motion, devices-orientation, and media. In addition to building applications that utilize existing plugins, developers can create their own plugins to access device capabilities that might not be available on specific platforms. Developers can easily write new Cordova plugins to utilize the capabilities of the Intel Joule compute module’s connections to I2C, I2S, SPI, and GPIO sensors and devices. Refer to Cordova for the latest development updates. Recently we announced UPM/MRAA support for Android Things on Intel® Architecture devices. Cordova plugins can link to the extensive UPM library of sensor and device drivers. Writing a Cordova plugin to support a device on I2C, I2S, SPI, or GPIO is simple, and we are providing a GitHub* project to host example Cordova plugin code for Android Things and UPM/MRAA. 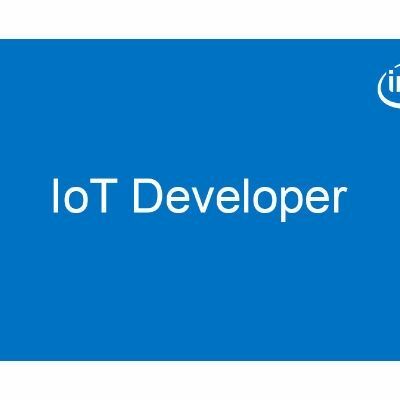 Our mission at Intel is to help developers accelerate design and development of IOT projects to get their products to market faster. Together we can fuel innovation and build new and rich experiences using Google Android Things on Intel® architecture. And if you're working on something interesting, give us a shout. We would love to hear from you!